How does $5000 sound? 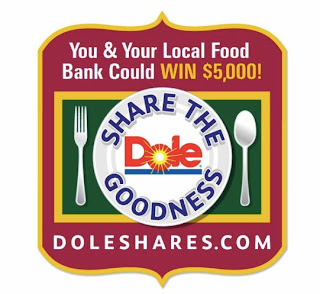 Well with Dole's "Share the Goodness" contest, you can win that amount of money plus win the same amount for your local Food Bank! Through the virtual DOLE mosaic poster, you can easily upload your favorite holiday photo to enter to win the contest. 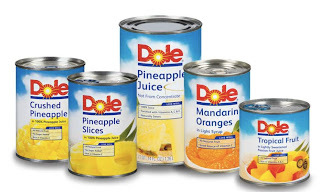 The site also features great recipes using DOLE Canned Fruit to include in holiday and everyday meals. After you register, you can send an eCard to family and friends letting them know about the contest and to gain extra entries. You can also gain multiple entries by uploading up to 20 photos (5 per day) and, if a friend you referred is the grand prize winner, you also win $2,000! Enter for a chance to win through December 31, 2009 by going to www.DoleShares.com. Disclaimer: I received no compensation or incentive for sharing this contest with my readers. Thanks for letting me know about this-I'm always up for a good contest!